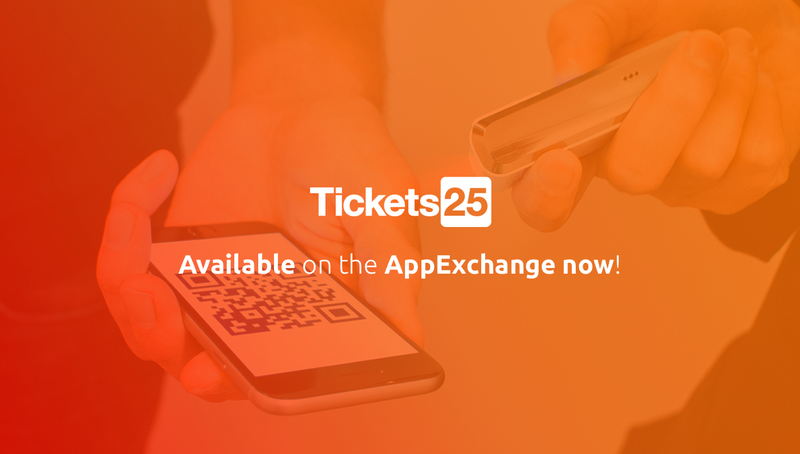 Following the release of Booker25, Checkin25 and Social25, we are proud to launch our latest App, Tickets25 on the Salesforce AppExchange! Tickets25 is the flexible ticketing solution you have been looking for. With Tickets25 customers can sell any kind of ticket. The application is build on Heroku and is specially designed to make ticket sales easier, better and able to handle large volumes and peak times. Tickets25 is easy to use and allows you to create your own ticketing shop and design, set variable ticket prices, sell tickets for specific time slots, set a maximum number of visitors, and much more. Our flexible solution is currently being used at museums, festivals, clubs and corporate events. With the latest updates Tickets25 is seamlessly integratable for all Salesforce customers who are looking for a scalable and affordable ticketing solution. The integration with Salesforce combines the power of Tickets25 dashboard with a 360° customer view. All customers, events, tickets and payments are now available in your Salesforce environment. Allowing you to increase the information you have on your customers and use this data for reporting and marketing purposes. Are you curious how you can use Tickets25 for your events, entrance tickets or conference registration? Check out the Salesforce AppExchange or get in touch to schedule a free demo.